After the crops are all harvested, the farm employees begin the fieldwork in preparation for next spring’s planting. At the same time, however, the farm is gearing up for the arrival of the first load of calves from the ranch. Except for the replacement heifers that are kept at the feedlot during the summer, the feedlot remains empty until the coming of the calves in the fall. As the calves begin showing up at the feedlot facilities, attention quickly shifts from the farming aspect of the farm/feedlot unit to the feeding aspect. Calves are fed weaning pellets with grass hay for about one month. The amount of silage in their ration is slowly increased as time goes on. Because of the advanced health program used by Harding Land & Cattle Company, from branding until the calves reach the feedlot, sickness among the calves is very minimal. 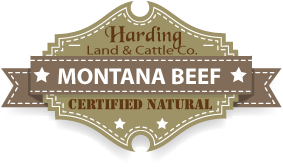 Also, all employees at Harding Land & Cattle Company participate, and are certified in, the Beef Quality Assurance (BQA) program. Harding Land & Cattle Company has relied on the expertise of qualified individuals in formulating the ideal ration for the feeder calves. Over the years, many experts have leant help to Harding land and Cattle Company. Currently, Dr. Chris Heddins is the nutrition expert guiding the nutrition plan for growing the calves and maintaining the condition of the bulls and cows. The goal is to grow the calves at a rate that takes into consideration the calves’ frame sizes and how close they are to being finished with the backgrounding phase and ready to advance to the next stage. The Harding Land & Cattle Company feedlot backgrounds its calves until they reach about 800 pounds. The calves are separated by weight into small, medium and large groups in late November or December, and therefore reach this 800 pound mark at different intervals. Those calves that are finished with the backgrounding phase are sent to a commercial feedlot in Nebraska. Harding Land & Cattle Company retains ownership in the steers until they are slaughtered. Heifer calves are fed to finish (ready for slaughter) in the feedlot. The finished slaughter weight is about 1,200 to 1,300 pounds for steers and 1,000 to 1,100 pounds for heifers. 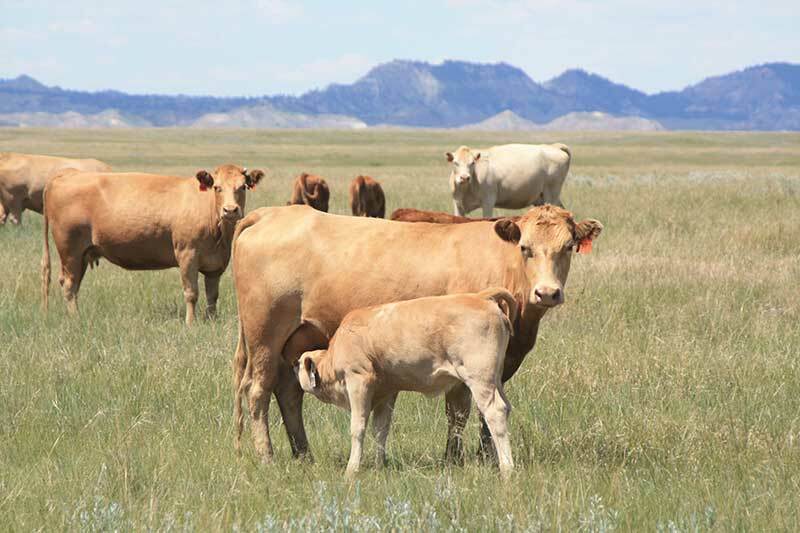 In the past, Harding Land & Cattle Company’s calves have graded significantly better than average in carcass quality, which is in keeping with the Harding family’s goal of producing quality beef.